We saw a violent sell off in gold futures yesterday, with the market dropping below the psychologically important $1,600 level, as it became clear that the world is still in deflationary mode. The commodity spread betting markets are slumping, global economies are struggling and the precious metal is currently losing its safe haven battle with the dollar. Overall, the gold market dropped $42 to $1,564 as the metal was also hurt by a perceived lack of conviction in the actions of the Federal Reserve. The US crude oil market followed yesterday's sharp nosedive in shares after another string of disappointing economic data. The price of US crude fell below the $80.00 level for the first time since October last year, closing $2.88 down at $78.20. A stronger dollar added extra downside pressure, along with Wednesday's oil inventories statistics that showed supply was at record levels not seen since 1990. Gold's rally until mid-way through 2011 was primarily driven by the Fed's continued bouts of QE. As a result, last night's lack of QE3 announcement rather took the shine off the precious metal. With commodity markets anticipating more aggressive action from the Fed, and considering that Operation Twist increases maturity rather than balance, investors found little reason to rush into gold. Meanwhile inflation numbers on both sides of the pond are falling so demand for the precious metal plunged. As a result, gold prices lost $13 to $1,604 and have now dipped below $1,600 to $1,597 this morning. The EIA released its weekly crude inventories which indicated the highest levels since 1990. This weighed on the price of US crude oil, with the market falling $2.24 to $81.80. Intraday trading even saw the lowest price for eight months. Disappointment over what markets saw as anaemic action from the Fed also played its bearish role. In the face of a lower US dollar, which usually brings in additional buying power, gold prices actually lost $9.27 to $1,617.50. This was somewhat odd because the expectations surrounding further Fed easing should have also been a bullish feature, with the precious metal being seen as an alternative asset. A surge in equity markets coupled with a lower US dollar drove the WTI crude prices $0.97 higher to $84.03. By and large, widespread expectations that the Federal Reserve will take action to spur US economic growth were behind the move. In the meantime, the weekly inventories statistics will also be in focus and could offer some extra hints as to the next possible direction for the energies markets. However, this morning, we are already seeing a little risk aversion as Brent is currently dipping below $95. We saw gold futures plunging during yesterday's opening session as investors moved into risky assets, buoyed by a sigh of relief concerning the Greek vote. But that did not last long. Uncertainty regarding the other struggling Eurozone members brought buyers back into the market. As a result, gold prices pared their initial losses, closing rather flat at $1,627.55, and could remain supported ahead of the Fed meeting later this week. The US crude oil spread betting market opened higher on the positive sentiment after the Greeks chose to stay in the euro. Nevertheless, fears about future oil demand, as European borrowing costs continue to rise, took their toll and reversed the early gains. Consequently, the price of a barrel of US crude oil ended the session $1.82 down at $83.27. In the commodities spread betting markets, gold is weakening as the end of the world failed to happen. As such, the short-term reasons for being long of the precious metal have evaporated. Traders must be wary that for the last few months the falls have been rather more violent than the rallies. As a result, caution should remain the watchword. There was a nice bit of activity between 13:00 and 1:400 on Friday as the US traders looked to position themselves ahead of the weekend. We might see a similar reaction today as they move to reverse these positions. Late last night, at 23:45 London time, a big stop order was triggered as someone, who had presumably bought protection on Friday, was closed out. The metal spiked down to $1,606 followed by the inevitable rally all the way back up to $1,629, where the market started from. We are now at $1,622, looking at the resistance of $1,626/28. The market is struggling to close above $1,626 and so it will be worth noting if there's an overnight settlement above that level. Above here is major resistance at $1,638/40. On the downside, there is little near-term support aside from the natural support level at $1,600. Minor support is also at $1,582/84. The long-term support around $1,545, and especially at $1,528/30, is looking very hard to beat. Gold continues to push higher and we can expect this support to be maintained throughout the day as investors look to hedge against a Greek implosion. Having said that, anything which indicates a suitable settlement in Athens could send gold back to the mid/low $1,500's very quickly. Financial Spreads' clients have actually closed out most of their long positions in the precious metal over the last few days. They now seem to be keeping their powder dry ahead of the next few sessions. Resistance is at $1,625/27 but traders are advised to keep an eye on the price at around 13:00/14:00 (London time) as the American funds may be very active on the off. Crude oil reacted in a slightly muted fashion to the prospect of an OPEC cap, which will probably just encourage the countries to actually stick to their agreed production limits. This is slightly worrying as the news over the last few days has been generally price positive but it has had little impact in pushing the price back towards $100. Another poor piece of economic data might have a bigger impact to the downside than good data would have to the up. The gold spread betting market is still unable to get below the $1,520/50 range and has now bounced once again from this level. However, the attempts are becoming more frequent and the rallies seem to be petering out at low and lower levels. We really need to get above, and hold, the $1,640 level and then $1,670 to reignite a strong buying pool. In the meantime, the daily ranges continue to be quite large, and this is attracting our spread betting account holders. Traders should be cautious however; wide ranges can offer opportunities to both win and lose over a very short time scale. Support for the precious metal is at $1,615/16 and resistance is at $1,622/24. A hint from one of the Fed officials that more stimulus could be used to boost the economy was enough to spur renewed demand for alternative assets. 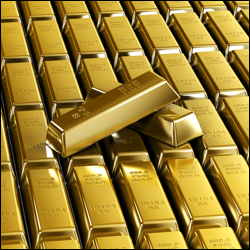 As a result, investors turned to gold, helping the precious metal rise by $12.87 to $1609.04. The gold spread betting market was also assisted by a faltering dollar, which made the precious metal look cheaper and attracted more buyers into the market. US crude oil prices closed $2.14 higher at $83.32 yesterday, as a weakening US dollar combined with a rebound in the shares spread betting markets. However, energy investors are likely to remain nervous as, despite oil supplies outstripping demand, Saudi Arabia is expected to vote for keeping the same quotas at the OPEC meeting in Vienna. Maybe this afternoon's US weekly inventories will provide a few extra clues as to short-term direction. Gold futures markets rose slightly (up $1.85) to $1594.85 as initial bailout optimism failed to spur significant demand. By and large, the precious metal fell victim to a US dollar getting stronger throughout the day. Again, we saw one of those days when gold's safe haven attributes were discarded by the inverse correlation with the greenback. Amid weakness in the global economy, the Saudi Oil Minister was quoted saying his country would need a higher output ceiling. The effect was an accentuation in already plunging WTI crude oil prices which closed $2.92 down at $82.70. Also, the US has decided to expand the list of nations exempt from sanctions after they reduced their buying from Iran, thus delivering a further blow to crude oil bulls. A stronger US dollar sent gold futures tumbling on Friday, but expectations of a Spanish rescue package overturned that. In addition, gold opened higher last night after Spain requested aid, showing its willingness to tackle the debt burden. Elevated crude oil inventories, coupled with disappointment over a lack of commitment from the Fed, pushed the price of WTI crude oil to an intraday low of $82.00. Nonetheless, optimism that European officials might save Spain's banking system offered a late rebound. This pushed the market $0.47 higher to close at $84.10. OPEC's meeting in Vienna, scheduled for Thursday, is likely to be a key focus for the energy market this week.